I love reading the Beyond The Tiger Mom. I also like to read the discussion or interview with the author. 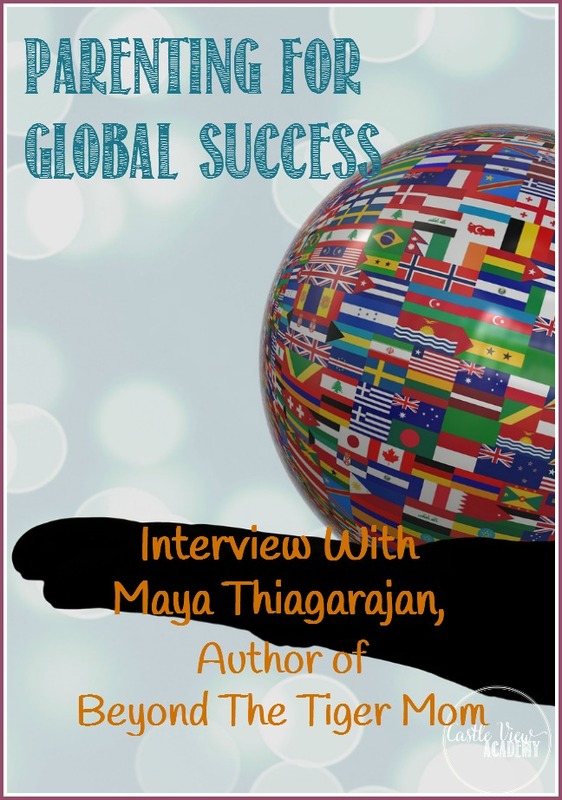 So when I read the Author Interview With Maya Thiagarajan; Parenting for Global Success I'm very interested in making it the feature in MKB blog hop. Actually, what is interesting from the book Beyond The Tiger Mom? This book can be said as the other version of the Battle Hymn of The Tiger Mother written by Amy Chua. I am a Chinese mother the same with Amy Chua when I was a kid my family demanded me as Amy Chua did to her children, but not my mom. Now when I become a mother, I also encourage my son in order to have test scores more than average, although it doesn't have to be perfect. But I always pay attention to his abilities. I will not force him to have a perfect score if he is not capable. With a lot of reading about Beyond The Tiger Mom, I have a lot of understanding of what to do to encourage my son for trying to do the best, with his joy and passion, not by fear or burdened. That's why I really like to bring this post by Crystal as a feature article in the MKB blog hop.